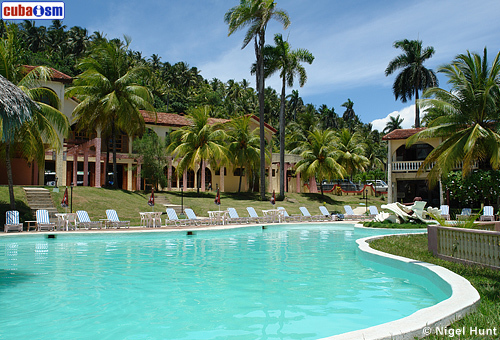 Hotel Porto Santo softly mixes the elements of a luxurious hotel of city and the nature, it also offers us all the necessary comforts for a nice stay at Baracoa. Its name Porto Santo was given by Admiral Christopher Columbus in Baracoa, first town founded by the Spanish Colonizers. 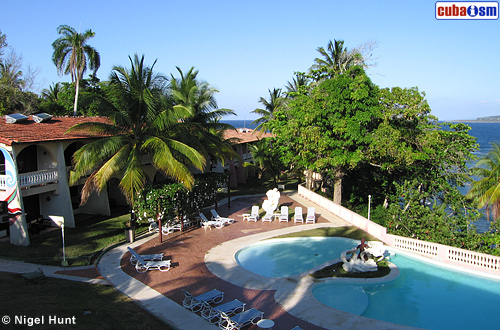 Hotel Porto Santo its locate 1 km outside the city at the shore of the sea, aside Baracoa Bay and only 500m from the airport. 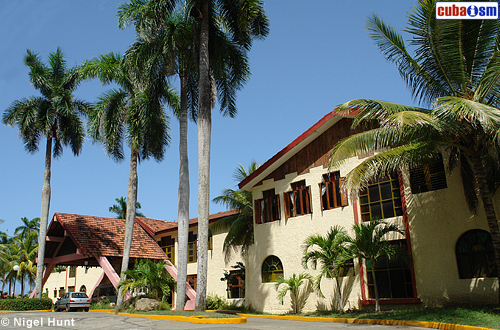 In its small and private beach, the legend signalizes the site where the Admiral settled the famous Cross of Parra, the most ancient historical religious object that is conserved from de arrival of the Spaniards in America. The most showy stroke of Hotel Porto Santo is a large swimming pool with an adornment and a bar with straw roof facing to the bay and the cove that lodges its small private beach. 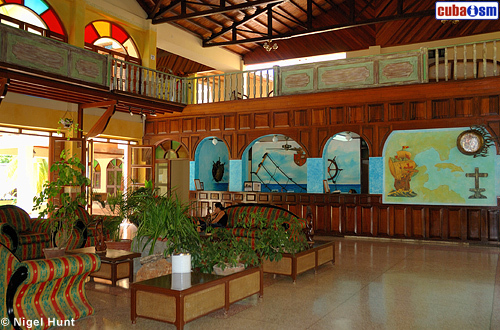 At Hotel Porto Santo you will be able to enjoy an exciting view of the mountains of the region and Baracoa Bay, you will also have an easy access to the historical main part so you will dispose of ideal scenery for the tourism of nature and the knowledge of histoy.